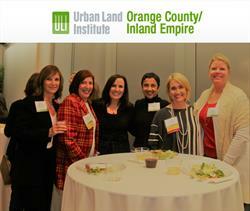 Panel of Real Estate Industry Experts to Offer "Women in the Workplace: Growing in Every Generation"
NEWPORT BEACH, CA--(Marketwired - April 19, 2017) - The Urban Land Institute Women's Leadership Initiative (WLI) is pleased to announce the third in a series of informative discussions titled "Women in the Workplace: Growing in Every Generation." Participants will hear from a five-member panel of thoughtful and experienced voices that will speak to each generation's unique perspective in the ever-evolving real estate and building industry. The event, which will engage participants in a robust conversation on how cross-generational expertise can have a powerful impact on the future of the real estate and building industry, is planned from 6 to 8 p.m. on April 26 at Gensler, located at 4675 MacArthur Court in Newport Beach. According to a survey of 34,000 workers conducted by McKinsey & Co. and LeanIn.org, millennial women are not experiencing inviting horizons in the workplace with the survey finding that 23 percent of millennial women believing that their gender has prevented them from getting ahead in their careers. Speaking as a traditionalist (born before 1946), Nina Gruen, author of Believe It or Not: The Challenges Facing One Professional Woman a Half Century Ago, says: "In the 70's and 80's, I established close relationships with my competitors who also provided land use and real estate consulting for clients. We often shared insights, not only on how we approached client problems but also on how we ran our businesses. Mentoring younger professionals became a primary objective for us." That perspective uniquely informs the practices of future generations, such as those experienced by Nairi Siddiqi who hails from Generation Y, which includes Millennials and those born between 1982-2002: "My generation graduated in a difficult economic time and a competitive job market, especially for those entering the real estate industry. As a result of these factors, dedication to being in the real estate industry, including expanding skill sets as necessary, diligence in finding opportunities in the real estate industry, and being proactive in reaching out to others to make connections in the real estate industry have been crucial to the advancement of my career in the real estate industry." The panel will be moderated by Julie Brinkerhoff-Jacobs and will feature distinguished guests Noelle Steele, Gen Z; Nairi Siddiqi, an Associate at Stuart Kane LLP who will represent the Millennial generation; Gen-xer Anne Bretana, Senior Associate, IIDA, Gensler; Baby Boomer Dr. Soraya Coley, President, Cal Poly Pomona; and traditionalist Nina Gruen, Executive Vice President, Principal Sociologist. All of the panelists will take questions and offer their thoughts on how to effectively weave generational knowledge and expertise across generations to continue to advance innovations in the real estate and building industry. "We love the opportunity to bring such incredible talents and expertise into one room and have it shared so freely with others, because we all benefit from the experiences of others, especially in the competitive and always-change real estate and building markets," said Christine Obnial, a Millennial and Women's Leadership Initiative Executive Committee member. The Urban Land Institute's Women's Leadership Initiative (WLI) was established to promote the advancement of women, throughout their careers, as leaders within the real estate industry. Goal was to increase the number of women who serve in leadership positions; increase the visibility of women leaders and increase the number of women who are active and support the development of young women members as leaders in ULI and in their professions.